Last weekend, Star Trek superfan Michael Gummelt took to the internet to announce that he had been invited to officially pitch his idea for a Star Trek TV show to Paramount Pictures. “As far as I know, this is the first time a fan (not an established industry insider) has been invited to pitch a Star Trek TV series,” he claimed. Here’s the thing: he might indeed be the first fan invited to formally pitch his idea for a new TV series, but once upon a time anyone who wanted to could pitch their storyline ideas to one of the already existing Star Trek shows. After Michael Piller took over as Next Generation’s Head Writer in 1989, a new policy was adopted to allow any non-professional, unrepresented writer to submit up to two unsolicited scripts, at which point anything else had to be submitted through an agent. 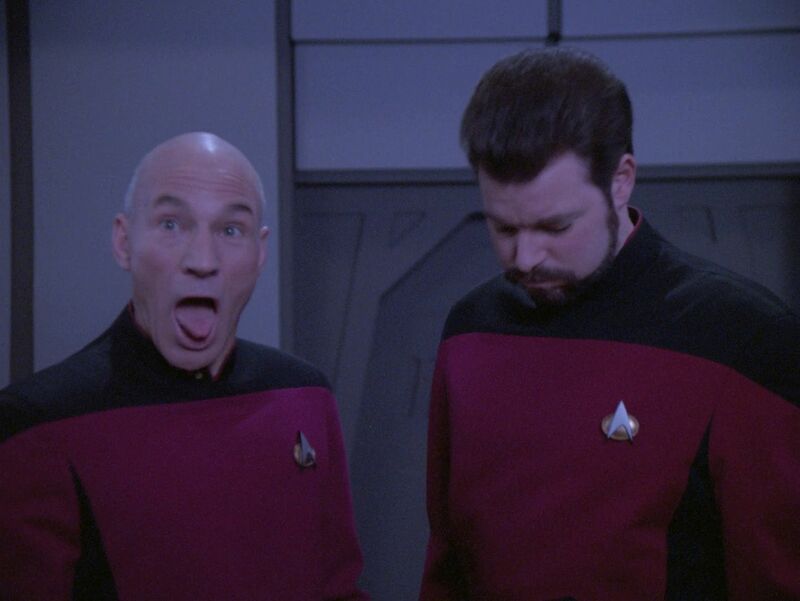 So, any amateur could submit a spec script to a Star Trek TV show and have it end up on the air. So, who were some of the writers who actually got their start in the industry submitting spec scripts to Star Trek? When René Echevarria’s parents immigrated from Cuba to America to raise their son, they didn’t envision he’d turn out to be a successful TV writer. No, he was going to be a doctor. Non-negotiable. Except Echevarria didn’t want to be a doctor. He didn’t know what he wanted to be, really. At Duke, he majored in history with an eye toward an academic career. Then he dabbled in the University’s theater department and produced several plays. By 1987, he’d moved to New York and floundered a bit. It wasn’t until he saw Star Trek: The Next Generation that he first settled on TV writing as a possible career option. “I didn’t even know that it was a job you could have,” he’d later say. Echevarria’s spec script ultimately went unproduced, but he earned his first writing credit on “The Offspring,” which was handed to him by a group of feuding writers on the show who couldn’t decide if Data should be allowed to show an emotion. After Trek: Credits on Dark Angel and Medium before co-creating the USA series The 4400 with Scott Peters. He also helped develop MTV’s Teen Wolf and took over on Terra Nova after the original showrunner was fired. This didn’t, however, lead to a long life as a Star Trek writer. Despite her regular pitches to TNG, the only credit she ever received was for a story contributed to DS9. However, it was off of that experience that she slowly built an impressive career. After Trek: Buffy the Vampire Slayer, Angel, Firefly, Battlestar Galactica, Once Upon a Time, and Game of Thrones. 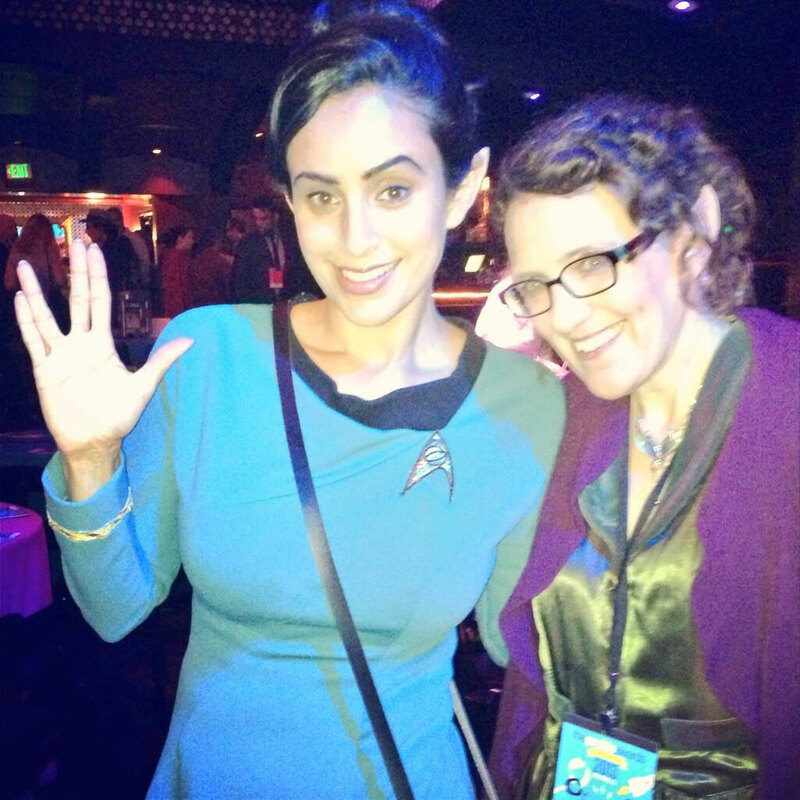 Plus, she created SyFy’s Warehouse 13 and currently has the web series Husband. Fuller is now known as the deeply dark heart behind Hannibal and the chipper soul responsible for Pushing Daisies, but in the beginning he was just a kid who grew up loving Star Trek: The Original Series, which is the first thing he remembers paying attention to in fetishistic detail. As an adult, he had to drop out of the USC School of Cinematic Arts due to tuition costs and student loans. He had wanted to be a director, but at the age of 25 he was a bit lost in life, working as an office temp, spending some of his spare time watching Next Generation and Deep Space Nine, losing many a date when they saw his various Star Trek toys. Lesson of the day: never underestimate a Star Trek superfan. Tenacious with a capital T.
Unlike the other writers on this list, Star Trek did not represent Ganino getting his foot in Hollywood’s door; it’s simply the only door he was ever allowed to enter. His IMDB page still lists his sole writing credit as The Next Generation episode “Yesterday’s Enterprise,” which you might remember as the one where Tasha Yar was brought back in an alternate reality. Ganino’s original script, however, didn’t feature her at all. Instead, he simply exploited a loophole in the instructions for spec scripts disallowing the usage of any of the Original Series characters. He really wanted to write a time travel story about the Original Series crew meeting the Next Generation crew, but since that wasn’t allowed he created an entirely new crew for the Enterprise-C and wrote about them “accidentally traveling twenty-two years into the future, arriving in the current timeline of USS Enterprise-D.” Over time, this was merged with another storyline idea, as extensively chronicled in the book The Making of “Yesterday’s Enterprise,” and the script was ultimately re-written by Ganino and script coordinator Eric Stillwell and then by five of the show’s staff writers. Ronald D. Moore killed James T. Kirk. As the co-screenwriter of Star Trek: Generations, he’ll possibly never live that down, but he also wrote First Contact and somehow topped that when he moved on to Battlestar Galactica. I would tape Next Generation every week on VHS and watch it, and told myself someday I’m going write for it, but I was still sort of at ground zero in terms of actually having a writing career. I was working a series of odd jobs in LA; at an animal hospital as a receptionist, I was a messanger, and I did contract administration. I wasn’t really pursuing a path to get me through the doors of Paramount. This is where legend and reality get messy. 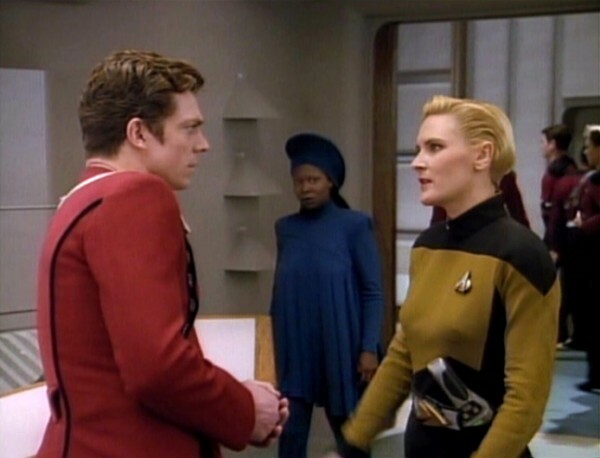 By legend, Moore managed to sneak this script to a producer during the set tour and it was so good they hired him to staff; in reality, Moore submitted his script to TNG‘s research consultant Richard Arnold, who liked it enough to coach Moore on a necessary rewrite. Once that was done, Arnold claimed he couldn’t officially pass the script to the producers until Moore got an agent. So, he hooked Moore up with a literary agent who had been looking to get into representing TV writers. The script was then officially submitted. And then Ronald Moore waited for another 7 months. That was almost it for Moore. His second script, “The Defector,” about a rogue Romulan agent, was initially rejected for being “too green” and unseasoned, and since he was being treated as a freelance writer Piller was free to simply cut him loose entirely. Moore’s agent was already busy looking to secure him a new writing gig when Piller called back for an about-face, admitting he re-read the script over the weekend and wanted to take it to the writer’s room for emergency surgery. There, Moore saw, for the first time, exactly how a script is truly put together and was allowed to write one segment of the five-segment episode. But, even then, Moore was still technically just a freelancer for them. It was only weeks later when both a writer and story editor got fired that Moore was offered a job as a staff writer, albeit on a week-to-week contract with no guarantees. He took it, and tried to just put his head down and get the work done until they told him to leave. Weeks went by like that until his fellow writers found out about his contract status and told him that’s not how things are supposed to go on a TV show. Ira Steven Behr went to Piller on his behalf, and just like that Ronald D. Moore had a three-month contract as a story editor. Humble begginings for the guy they’d eventually trust enough to co-write Generations and First Contact. He also contributed to the heavier, thematically richers seasons of Deep Space Nine, but sadly parted with Star Trek on bad terms after a very brief time with Voyager, transferring many of the things he felt Voyager should have been doing to his Battlestar Galactica reboot. Fresh out of UCLA with a Masters Degrees in screenwriting, Robert Hewitt Wolfe’s first big break in Hollywood came from selling the script “A Fistful of Data” (the holodeck western episode pitting Worf against a bunch of Datas) to Next Generation. The landed him a position on the Deep Space Nine writing staff where he stayed until leaving after the fifth season. During his tenure on the show, he often collaborated with producer-writer Ira Steven Behr, and the two later re-teamed on Alphas, an excellent, though sadly short-lived SyFy series. After Trek: He developed Andromeda from an idea left behind by Gene Rodenberry. He wrote for The Dead Zone, the Twilight Zone revival and co-produced the first season of The 4400. He also developed the fantastic, yet short-lived SyFy series The Dresden Files and the aforementioned Alphas. 2 out of 6 have gone on to do really amazing stuff. I never got into The 4400 or Warehouse 13. I wanted to like Warehouse but was never impressed. Besides, it’s concept was basically the same as Friday the 13th the Series. I really wanted to like Warehouse 13 as well. It had Donnie from Frasier! And Tricia Helfer was in the show’s second episode! And Edie McClintock is apparently the world’s nicest guy at conventions. However, the show is just too, for lack of a better word, flimsy for me. Specifically over the concepts from his short story “Second Variety “. 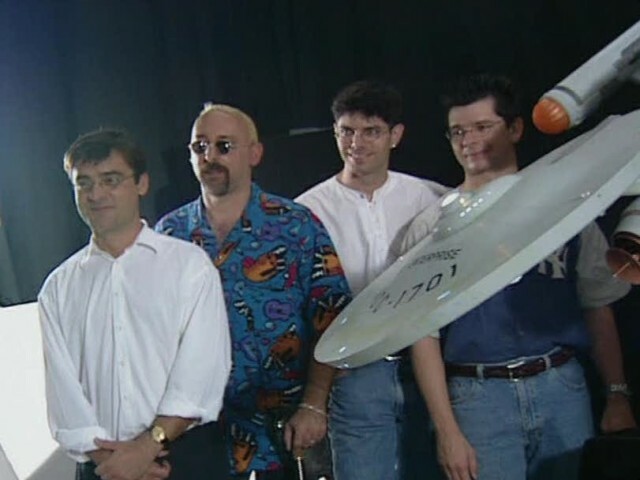 There was one particular Voyager episode “Prototype” that was submitted by an experienced freelance writer that seems to borrow liberally for the backstory. Great read! It’s comforting to know that successful people were in the slush pile too. I was particularly inspired by Bryan Fuller’s story, although when he told Kevin Pollack about sneaking into the Paramount lot to sneak pitches under the Star Trek office doors Pollack was quick to point out that you’d never be able to pull that off today because security is so much better on studio lots. So, can’t exactly repeat that trick.